Hi there, Karyn! How’s it going? If it’s any consolation, you’re not the only one to object to my S.W.E.A.T Pledge, or do so with an over-reliance on exclamation points!! Over the years, it’s been my sad duty to inform lots of angry parents that this particular pile of free money might not be for them, or for their children. 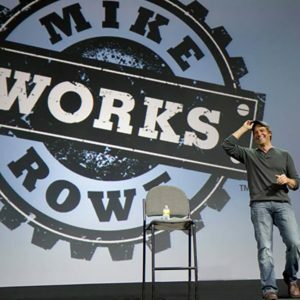 I came up with this “nonsense” about the same time I launched mikeroweWORKS. Back in 2008. I was looking for a way to encapsulate the qualities I value most in a document that would become part of the application process. What I settled on was the S.W.E.A.T Pledge. It stands for “Skill and Work Ethic Aren’t Taboo.” Mostly, it’s a collection of beliefs that I think every worker would benefit from embracing. Now, you didn’t mention what specific parts of the pledge you find most objectionable, but I’d be curious to know. Usually, I hear complaints about the patriotic undertones of points 1 and 2, the parsimonious vibe of #5, and the paternalistic feel of #8. Many have accused me writing a “conservative manifesto,” but honestly, I don’t see anything in this pledge that’s inherently political. In fact, I’d say most of these statements are in line with classic liberal thought. I’ve also been told my Pledge is “weighted heavily in favor of employers,” who are really just looking for “more and more ways to abuse their workers.” I don’t see it that way, but I can understand why some do. It’s very popular these days to portray all employers as the enemy, and hard work as the reason for individual unhappiness. I reject that out of hand, just as I reject the idea that the ethid of an individual worker has anything to do with race or gender. 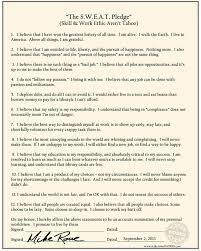 Personally, most of the successful employers I know started out as employees who would have enthusiastically agreed with every statement in this Pledge. But again, that doesn’t mean you’re wrong to disagree – it just means your current objections – while welcome – are not very persuasive. Finally, it might amuse you (but probably not) to learn that I’ve raised tens of thousands of dollars for scholarships by selling S.W.E.A.T Pledges. Thousands now hang in schools, factories, construction sites, and cubicles across the country. 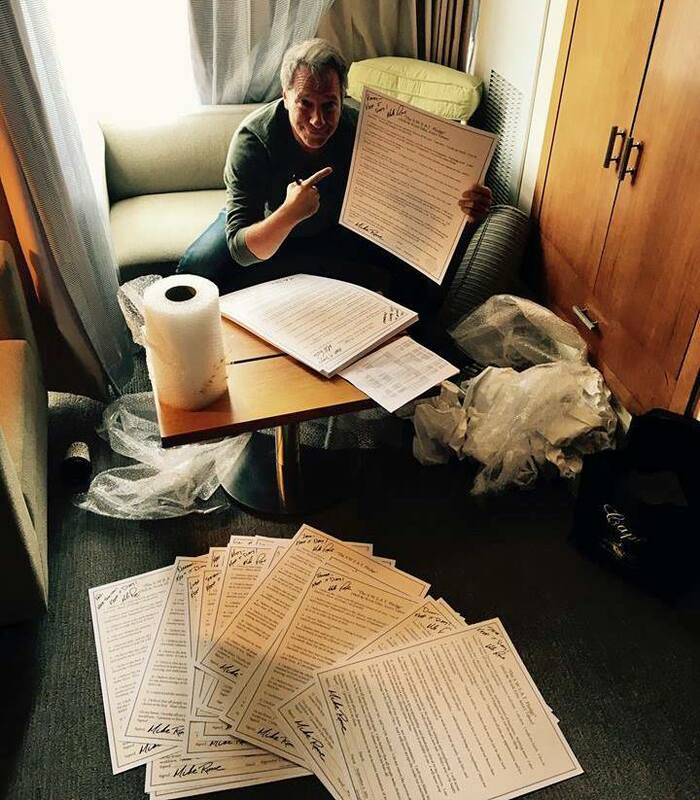 If you’d like one for yourself, we sell autographed versions for $12, or $100.00 if you like it personalized. http://ebay.to/2oZg7iz. I’d be happy to send you one for free however, just to prove there are no hard feelings. Let me know!